Christy recommends: Complete your collection with the coordinating Renaissance bath rug to add a little more luxury to your bathroom. good quality and lovely colour. The fluffiest softest towel I have bought, absolutely brilliant. Good quality product as always. 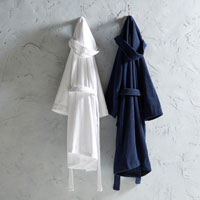 Good thick towels from renowned supplier. Unusual colour and just what I was looking for. Good quality and a good thick towel. 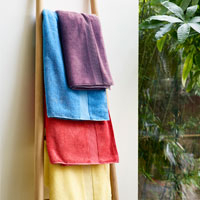 Renaissance towels in Fig colour, good quality and wash very well. All as requested. Very happy with quality and correctness of order. 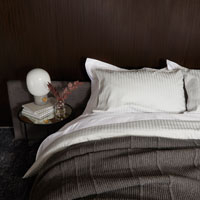 Lovely and soft with super absorbency which makes them a pleasure to use. I am now going with 'all-Christy' colour co-ordinated towels in the house as they are the best for style, colour, softness and absorbency and prompt delivery. Super absorbent long lasting that's why I always reorder renaissance products. Good size and quality. Very pleased with product. I have always had renaissance towels. Long lasting, looks good, great product. The towels are lovely and thick. Despite this they dried really quickly in the line. Delighted with the towels, good quality and colour. They have been washed and are now hanging on chrome towell rails in my new shower room. Would order from this company again. Have bought large numbers of these towels for my holiday cottage - they are wearing well & fluff up nicely in the tumble drier. Lovely substantial towels. Happy with size, colour, quality & price. Very warm and even better than the previous towels of yours we purchased, which were not Renaissance. Good service and quality towels. Very pleased with product. Perhaps my good feedback will warrant a discount off my next order! Bought renaissance towels because I've had them before and think they're the best towels I've ever had. Does moult but that's to be expected with new towels. Used these towels for years.